Samford University will observe Native American Heritage Month with a series of special events during November. The programs, all free and open to the public, are presented by the Samford Office of Diversity and Intercultural Initiatives. “These events will provide opportunities for the Samford community to gain knowledge about the cultural experiences of Native American people,” said diversity and intercultural initiatives director Denise J. Gregory. A film, Homeland, will be screened at 3:30 p.m. in Christenberry Planetarium. The environmental documentary tells the inspiring story of four battles in which Native American activists fight to preserve their land, sovereignty and culture. A dialogue facilitated by biology professor Drew Hataway and sociology professor Chuck Stokes will follow. The event is co-sponsored by Restoring Eden, an environmental stewardship ministry. Convocation credit is available for Samford students. “Lunch and Learn” will feature Samford history professor and folklife scholar James S. Brown speaking on “Weaving New Worlds: Cherokee Women Trying to Hold Their Culture Together with Basket Weaving.” The event will be in Beeson University Center’s Howard Room at 11:30 a.m. Lunch will be served. Space is limited. For reservations, click here. A hands-on “Create Your Own Dream Catcher” activity will take place in the Samford Food Court on the first floor of Beeson University Center between 11 a.m. and 1 p.m. 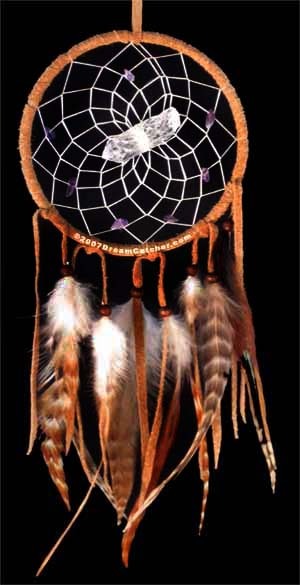 Participants can learn about the Native American tradition of dream catchers while creating one to keep. Earlier in the month, Samford students enjoyed a special selection of Native American foods that were served in the dining hall.